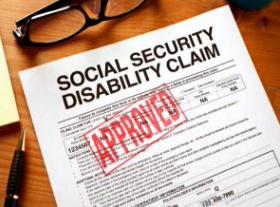 File Your Social Security Disability Claim Now | Hill and Ponton, P.A. For over 30 years, we have been helping people just like you get past the red tape and get their benefits quicker. Talk to us about your case. We will put our years of experience to work for you. There’s no charge for your initial consultation. Be sure to watch our social security video on this page. You don’t have to do this alone. “I just wanted to take this opportunity to thank you for all of your hard work on my case. . . I filed twice on my own for benefits and was denied both times. . . Even with all the medical records showing that I was disabled it wasn’t enough. Our family has been in such a financial hardship for almost two years, but thanks to your dedication to my case I am receiving benefits. Thank you from the bottom of my heart, a huge weight has finally been lifted.” – Jennifer L.
Please answer the following questions so that we can better assist you. As you answer each question, the next question will automatically appear.